It weighs around 2.9 kg, which makes it the most lightweight baby car seat of its type currently on the market. The big advantage for parents: its low weight means it can be effortlessly lifted, carried and moved from the car to the pushchair or pram. 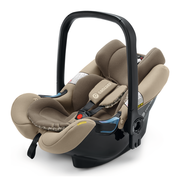 In addition, the CONCORD AIR.SAFE baby car seat has innovative safety construction features. 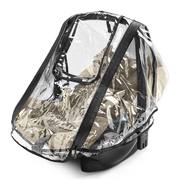 In a similar manner to a cycling helmet, the inner surface of the car seat is reinforced with a honeycomb structure. This results in outstanding damping characteristics in the event of an impact. 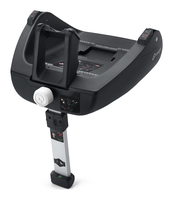 The rest of the safety features are also more than presentable. The three-point strap system means the baby is kept securely in place in a moving car. 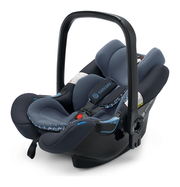 The optional AIRFIX Isofix platform lets you secure the car seat even more conveniently and firmly.